Uber, Lyft and other ridesharing services – sometimes referred to as “ride hailing” – are becoming hugely popular in Southwest Florida, with residents and tourists relying on transportation alternatives to taxis, buses and personal vehicles. Information on digital networks made available to local and state law enforcement agencies. 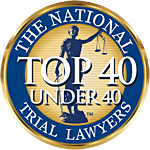 At The Associates and Bruce L. Scheiner, Attorneys for the Injured, our Fort Myers Uber accident lawyers know also that ridesharing companies are required to carry a minimum of $100,000 worth of insurance for bodily injury or death and $25,000 for property damage when logged into the app, but not carrying a passenger. When ridesharing drivers are carrying a passenger, they are required to carry $1 million in coverage. What this means you should be covered if you are in an accident with an at-fault Uber driver, whether you are a passenger or another motorist sharing the road. Most rideshare services were voluntarily complying with most of these provisions anyway, but the state law now requires the same rules be followed by all transportation network companies, no matter where they operate in Florida. Individual municipalities can provide custom modifications, such as licensing and airport pickup fees (so long as taxi drivers pay those same fees). It’s estimated there are tens of thousands of Uber and Lyft drivers in the state, and they now frequently operate out of Southwest Florida International Airport in Fort Myers. If you are involved in a crash with one of these drivers, contact our experienced accident attorneys to help you determine all avenues for compensation. Companies responsible for transporting passenger owe a duty of care to exercise the highest degree of care in operating on the roads. That means they must ensure vehicles used to transport passengers are kept in reasonably safe condition, that operators have proper skills, training and background checks and that drivers are obeying all applicable laws and reasonable care. Unfortunately, there have been many cases wherein negligent drivers and/ or transportation companies refuse to accept responsibility for the damage they caused. The hefty insurance policies carried by these companies – which exceed the amount required of typical passenger vehicles under Florida law – does little good if the driver/ company denies liability. Our attorneys work to fully and carefully analyze Uber driver liability and hold negligent drivers accountable. In Florida, the law requires all motorists to carry personal injury protection (PIP) coverage under F.S. 627.736, which covers up to $10,000 in medical and disability benefits and $5,000 in death benefits, no matter who is at-fault. If your injuries do not constitute an emergency medical condition, however, you may only be entitled to $2,500 in PIP benefits. All passengers of Uber, Lyft or other ridesharing services should be covered under the company’s insurance coverage, and drivers must carry proof of this coverage with them at all times. Passengers, third parties and rideshare drivers may be covered by underinsured motorist coverage in the event the at-fault driver’s insurance coverage does not fully cover damages. This assumes, however, that the UM/UIM policy was higher than the liability coverage provided by the at-fault driver/ company. It’s rare that such policies exceed $1 million, so that may not always be an option, but it’s a possibility worth exploring in cases involving serious injury or death. If you are injured in a Fort Myers Uber accident, our injury lawyers may be able to help you recover damages.